The Duke of Edinburgh voluntarily gave up his driving licence at the weekend. THE CROWN PROSECUTION Service has decided that no further action should be taken against Prince Philip, who was involved in a collision in Sandringham last month. The Duke of Edinburgh (97) was involved in a car crash on 17 January after which two women were hospitalised, one with a broken wrist. He later apologised for the incident. Police confirmed that both drivers involved in the incident were breath tested, and provided negative readings. 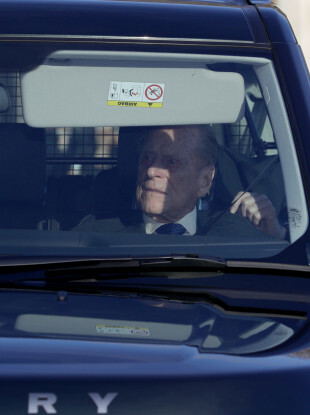 Police again spoke to Prince Philip after he was pictured seemingly driving without a seatbelt two days after the accident. At the weekend, Prince Philip voluntarily gave up his driving licence. Chris Long, Chief Crown Prosecutor for CPS East of England, said that it had “carefully reviewed material submitted by the police” in relation to the traffic collision on the A149. “We took into account all of the circumstances in this case, including the level of culpability, the age of the driver and the surrender of the driving licence,” a statement said. We have decided that it would not be in the public interest to prosecute. The decision was made after considering all the evidence submitted by the police and in accordance with the two stage test in the Code for Crown Prosecutors, the CPS said. Any decision by the CPS does not imply any finding concerning guilt or criminal conduct; the CPS makes decisions only according to the test set out in the Code for Crown Prosecutors and it is applied in all decisions on whether or not to prosecute, it added. Email “Crown prosecutors say it's 'not in the public interest' to prosecute Prince Philip”. Feedback on “Crown prosecutors say it's 'not in the public interest' to prosecute Prince Philip”.